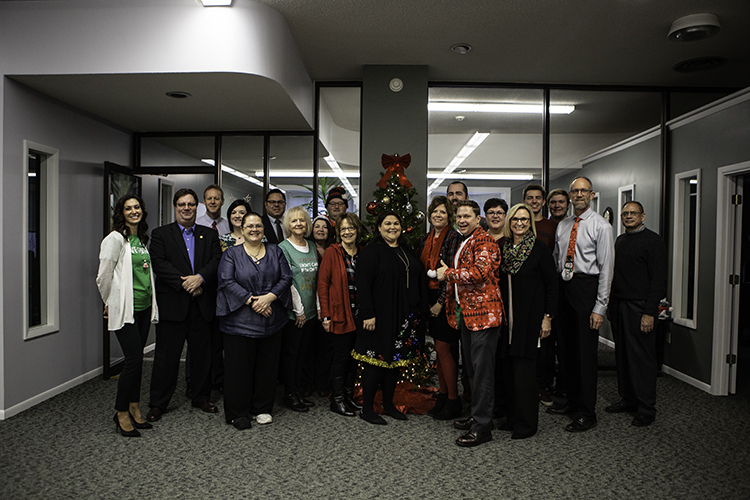 Since opening its doors, the United Way of Bay County has run a yearly fundraising campaign to help support partner agencies who provide a wide array of programs designed to make this community a better place to live. While the United Way, located at 909 Washington Avenue in Bay City, has always allocated the funds received towards the goal of bettering Bay County, in 2018 it required agencies asking for funding to target one of three specific priority areas with the goal of creating significant, long-term improvement in the area. The nonprofit identified those three priority areas during a series of community conversations, said Marybeth Laisure, the Executive Director and CEO of the United Way of Bay County. During those conversations, local people named safety as their top concern, although each person had a different definition of safety. Many referenced a growing opioid problem in the area, leading to break-ins of cars and homes. Senior citizens also said home safety was a major concern. The next two major concerns were encouraging young families to settle here and the limited availability of public transportation. Any local agency with 501(c)(3) status that provides human services in Bay County was invited to apply for United Way funding, as long as they could describe a specific program that fit into one of those priority areas. Laisure said the new model, with its focus on implementing goals, strategies, and improving outcomes, shifts the United Way from a traditional funding model to a one focused on community impact. They also lengthened the funding cycle to two years instead of one year, giving agencies more time to see results. In the first round of funding, which was released in July 2018, primarily the previous partner agencies received money. Tera Szeliga, Director of Marketing and Community Impact, hopes to reach new agencies in the next round. Some other agencies may not have understood the new model or may have been unaware they were invited to apply, and Szeliga expects to change that in 2019. “There are some other agencies that align with the strategies and initiatives we’ve adopted, so we’re hoping that we can try to build relationships with those folks and push them into applying for funding,” Szeliga said. 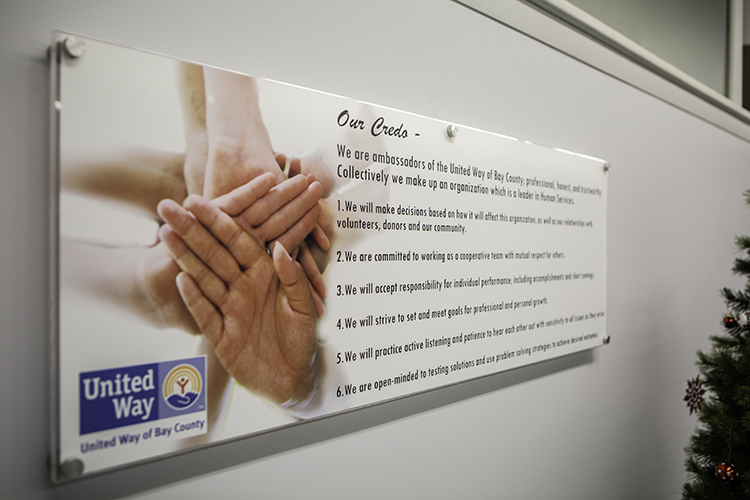 The United Way of Bay County isn’t asking anything of other agencies that it doesn’t do itself. While the United Way is not a direct service organization, they do offer some direct services programs, including the Helen Wirt Lee Back to School Clothing Program. Businesses and individuals shop for new shoes, clothes, and undergarments for between 1,200 and 1,300 low-income kids in the area. The agency also offers the Volunteer Income Tax Assistance (VITA) program, which helps low-income families, senior citizens, and people with disabilities file their taxes. Laisure and Szeliga estimate the program generates $1 million in tax refunds. The United Way also has a Community Garden, which is planted on the property of Michigan Sugar every spring. Volunteers plant, tend, and harvest the garden. Hidden Harvest distributes the fresh vegetables to food pantries and emergency shelters. So far, Szeliga and Laisure say they’re pleased with the creative programs that partner agencies employ to address the priority areas. “Some of these agencies make a huge impact. When you need it, they’re there. They’re highly qualified and can really help whole families,” Laisure said. The help comes in many forms. One program at the Boys & Girls Clubs of the Great Lakes Bay Region targets two of United Way's priority areas. The Power Hour at the Bay City unit of the Club helps the kids develop knowledge, skills, and abilities as well as building the skills needed for financial stability. “Power Hour is very important, in my book,” said Jerry “Bear” Gomez, director of the unit at 300 W. Lafayette Ave. in Bay City. In the Power Hour program, kids arriving at the bus after school are offered a snack and then encouraged to immediately tackle their homework. The club provides everything they need – pencils, paper, and even someone to answer questions. Club staff and interns from local colleges walk around and offer individual help for the kids, Gomez said. If a child doesn’t have homework, or chooses not to do it, he or she can participate in “Read Around 20.” Students gather together to read one, short book for about 20 minutes. Each person is asked to read one page. A student can pass the opportunity to read aloud and instead just listen. At the end, they complete a short quiz. Good scores on the quiz equal Club Bucks. Kids redeem the Club Bucks for small toys or snacks. Gomez also wants to start a money management program, showing the kids how to save Club Bucks to earn larger rewards, giving them a first step toward financial literacy. The program is typical of what the United Way wants to encourage. “All the programs are really wonderful,” Szeliga said. Later this month, the United Way gets its first look at the effectiveness of all the programs. Funded agencies must submit reports at the 6-month, 12-month, and 18-month marks. The 6-month reports are due at the end of January. “We’re really looking forward to seeing what a difference we’re making. What are those outcomes? That’s what it’s all about now, outcomes,” Laisure said. Even before those reports arrive, though, the United Way staff is considering how to hone in on the priority areas next time. Laisure expects more clearly defined areas. The first time, they kept the goals open-ended in order to encourage more participation. People looking to help the United Way fulfill its mission have a couple opportunities. The 2018 campaign ended on Nov. 15, but Laisure said she still will make presentations to businesses to explain the United Way mission. They accept donations throughout the year through their website. The Third Annual Murder Mystery Dinner takes place March 22 at the Scottish Rite Masonic Center. Sponsors are needed. The event sells out every year. Learn more here. Planning has just begun for the Golf A Day for United Way. It will be held June 8 at Maple Leaf Golf Course in Linwood. Sponsorships also are available for the golf outing. Learn more here.